Long-gone are the days when every home had a formal dining room that was saved for those special entertaining ‘occasions’, and sat collecting dust the rest of the year. 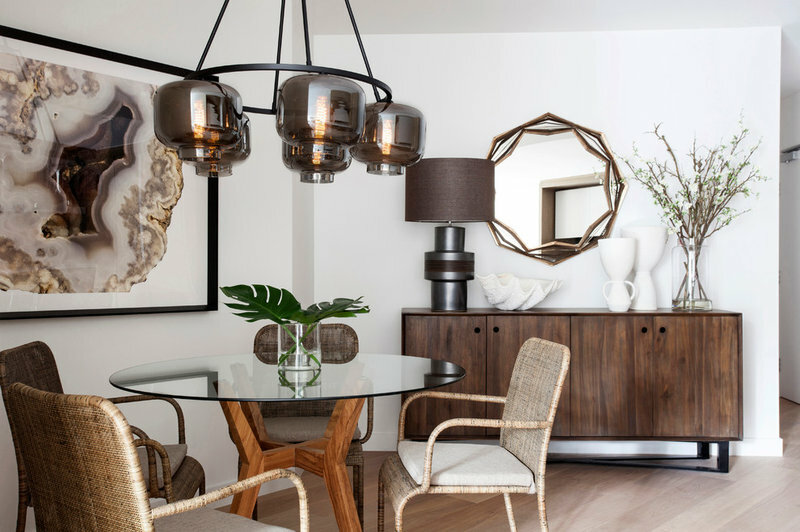 Our dining rooms tend to be more informal and family-friendly these days, and buyers also prefer a stylish dining space that can be enjoyed with family and friends all year round. So my advice is to keep it simple and create a stylish space that connects with your buyers. Here are some great pointers. 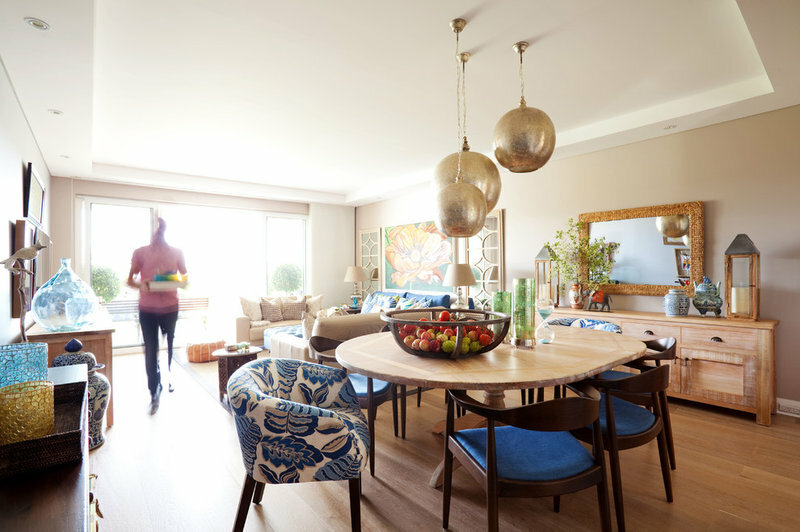 Make sure your dining room is clearly defined as an eating area. (The golden rule is ‘one room, one purpose’.) You need to keep it simple and make sure your buyers can clearly identify this space. The dining setting is the star and you should remove other pieces of furniture that make it confusing.For example, I often see dining rooms that double as an office – with a desk and chair tucked in a corner (or a storage space … or even a kids’ playroom). All this does is highlight the fact that the property doesn’t have a home office (not usually a good thing!) – it’s a distraction for the buyer. When styling your dining room for sale, the first question you need to ask yourself is, “Who is going to buy this home?” Is it a large, family home? Or is it better suited for young couples? How much seating will they need? Is it more of an ‘entertainers home’? Or will the new owners hang out in the local cafes more than at home? 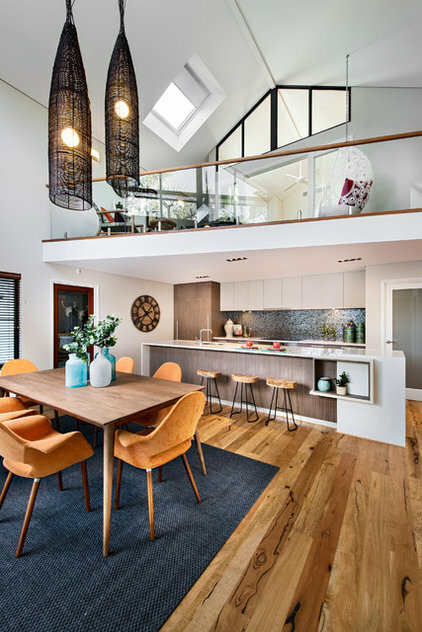 The answers to these questions will help ensure you use the right amount of dining seating – and don’t create possible buyer objections.TIP: If you have a three bedroom family home, it’s a good rule of thumb to show a six-seater dining setting. For two bedrooms, allow two to four seats, and for a larger home (four to five bedrooms), eight seats is ideal. Once you have decided how many seats you need to accommodate to showcase your home, choose a dining table that fits the shape of the room well. 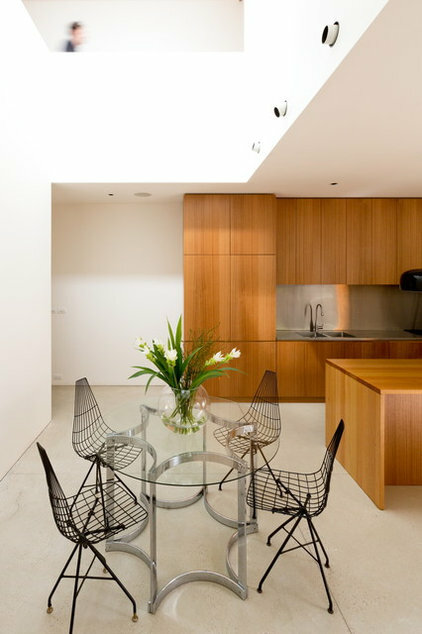 Consider whether you need a long, narrow table (as seen here) or whether a different shape would work better. Just make sure that there is plenty of space around the table so that the room looks ‘effortlessly spacious’ and your buyers can easily walk around all sides.TIP: Experiment with the position of the dining chairs too, as this can also significantly impact the perception of space in the room. For a six-seater setting, sometimes three chairs down either side of the table works well; and other times the room will look larger if you re-position the chairs so that there are two chairs down either side and one on either end. A round table is a great choice for a smaller dining space (like an eat-in kitchen or for apartment living). You can fit more seating around a circular table than a square table of the same size and it keeps the traffic flow areas around the table open. A glass table is another great stylist’s trick for a smaller room, as it doesn’t take up much visual space and opens up the room. Simply add chairs that match the style of your home. The great thing about glass tables is that they are super-versatile and many different chair styles will work with them. You can choose a strong, feature chair (as seen here) to make a bold statement, or a more classic style that will blend into a space (a great idea if you already have other strong elements in the room). 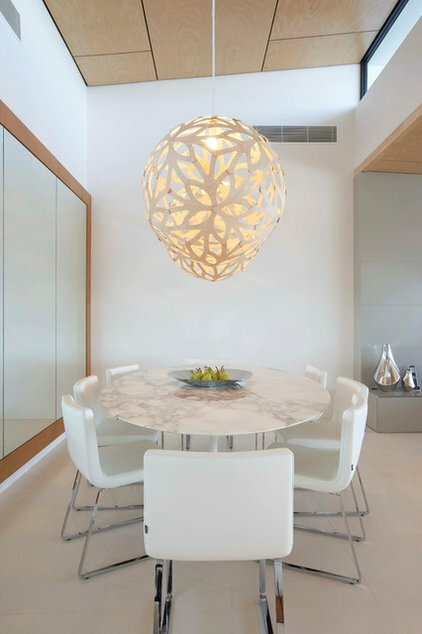 Add some wow-factor by installing a pendant light over the table (or upgrade your existing one). This will add a good amount of light (which buyers always love) and also style. Just make sure you don’t over-spend on this item … because if you do splurge on an expensive piece, you will probably not recover the cost. 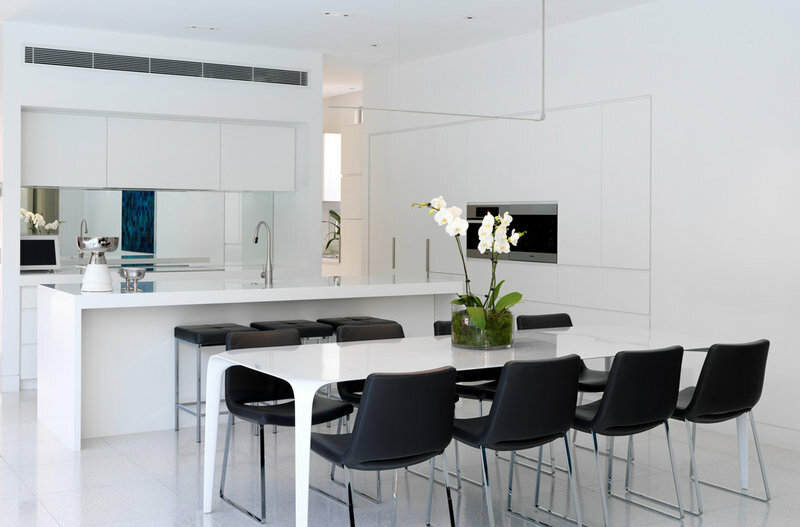 There are many low-cost options available that still create a dramatic impact WITHOUT the expense.TIP: A large, white drum pendant is always a good option, as it’s simple, inexpensive and works with most interior styles. Another great option for adding more light to your dining room is to install a floor lamp (again, I would recommend choosing a reasonably-priced option as there are many great designs available).The other big advantage is that a floor lamp will instantly add interest and impact to your space – and this is a trick we often use when styling a very plain, square dining room. A rug is a good (but not essential) way of adding warmth, colour and style to your room. 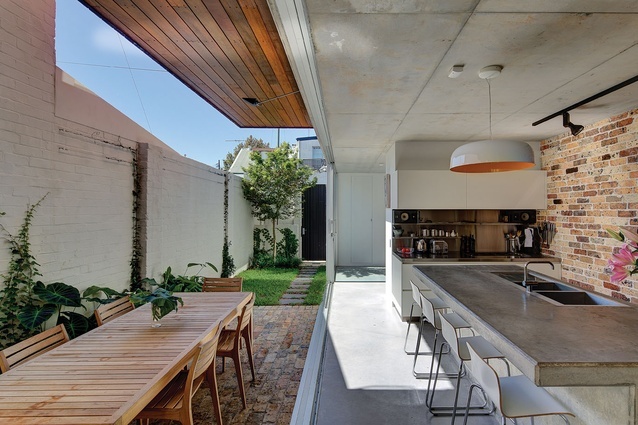 It can also be used to ‘zone’ the dining area in an open-plan living space. If you do choose to use a rug, make sure it’s large enough to place all the chairs on, so that the space doesn’t feel cramped (the larger the rug, the larger the dining space will feel). If your dining room is a little bland, consider adding a console table or buffet at one end of the room. Add a canvas or mirror above and some key accessories, and you will inject a lot more interest, warmth and personality into the room. Don’t forget to add a few well-chosen accessories. I do not recommend ‘setting the table’ as a display, as I believe it looks far too contrived – whose home looks like that on a daily basis? Avoid formal crockery settings, silver candelabra and napkin rings. Instead, use something that looks more real. A classic favourite is a simple orchid or bunch of flowers. 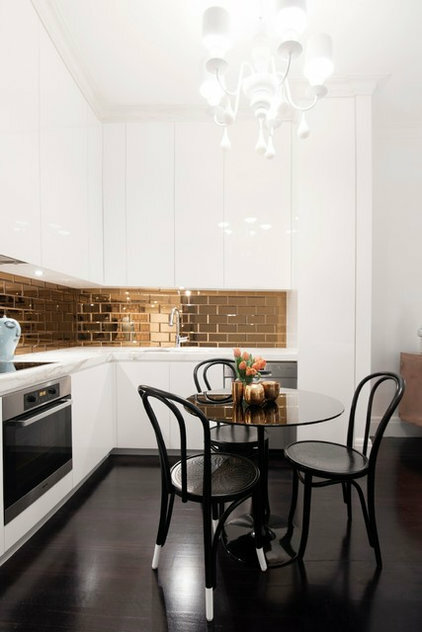 If your dining area is part of an open-plan living zone, definitely keep the accessories simple and contemporary. Perhaps some simple candles and a pot plant, a tray loaded with a jug and some tumblers, a bowl of fruit or an arrangement of simple vases.TIP: Using an odd number of accessories always works well (one,three or five), and vary the heights of the pieces. 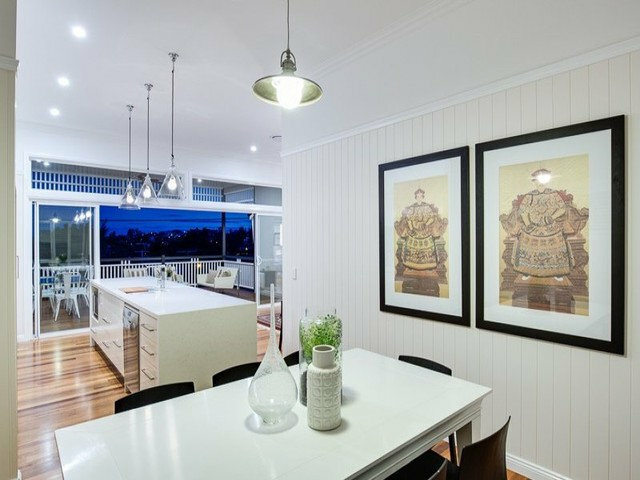 One of the common problems we see is dining furniture that is too large, dark and heavy. 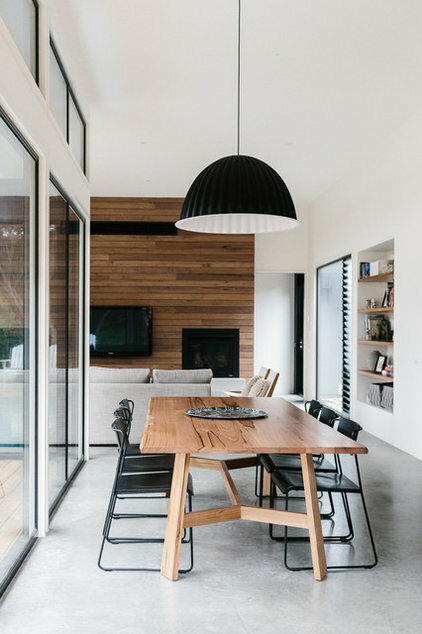 For example, when a dark timber table has matching dark timber chairs (or large black leather and timber chairs), and a dark timber matching console. It can make the space feel very flat and heavy.My simple solution is to change over the chairs to a lighter colour (and often a more contemporary style). I also add a colourful canvas or mirror above the console, some bold white accessories and a bunch of fresh flowers to really make a dramatic impact. The room immediately feels lighter, softer and more inviting.TIP: You will notice that contrasting chairs are used in all of the images shown here. It tends to work much better than the ‘matching set’. 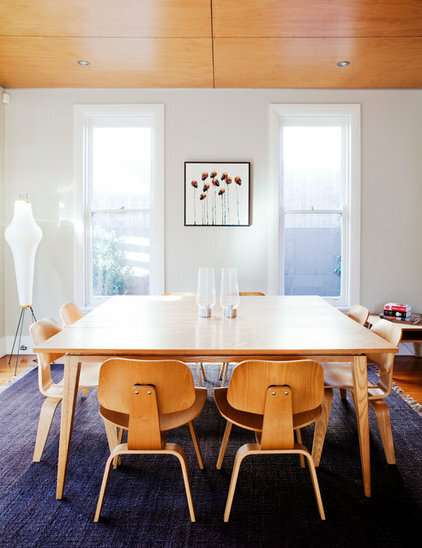 So if you have a black table, why not look at using some white chairs, or if you have a beech timber table, pair it with some black, sculptural feature chairs. 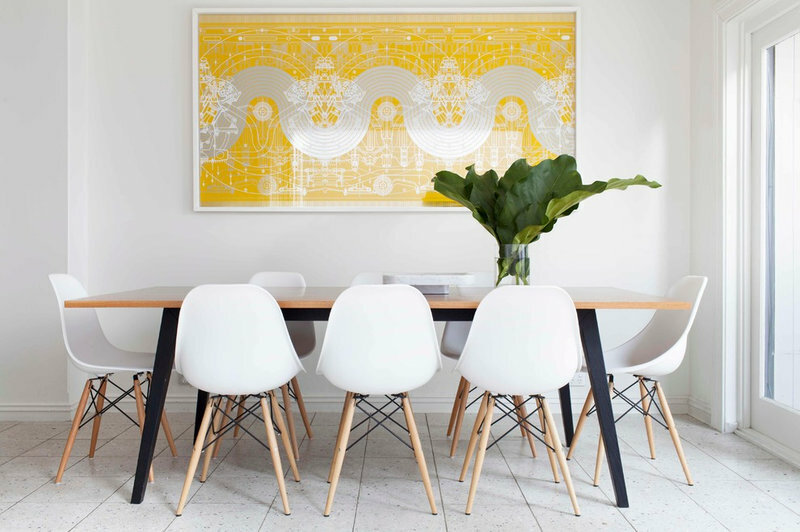 Artwork is important in dining rooms. Choose pieces that are not too small (another common mistake), and if you lack confidence in this area, simple often works best. 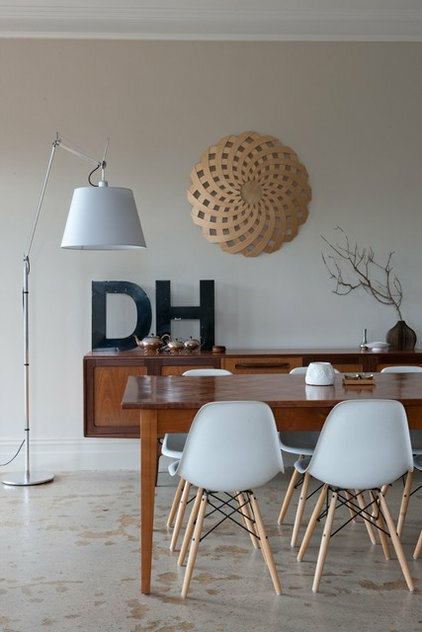 Go for one large piece and hang it centred over the table or console.TIP: Remember not to hang it too high on the wall. About 15cm above the chairs is a great rule of thumb.